There is something known as the “potato chip syndrome” to those of us in the greyhound communities. The famous Lay’s Potato Chips line, You can’t have just one, applies also to greyhounds: you simply can’t have just one! 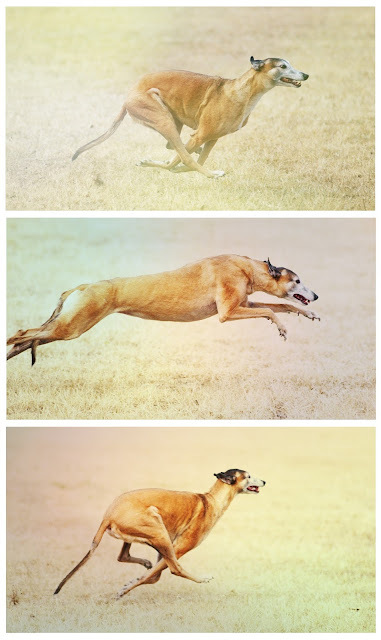 Many of us end up adopting a second greyhound, and then a third… and, for me, a fourth and a fifth. Bella was my second. She joined me and Maggie. Bella’s story is heartbreaking, from her unfortunate beginnings and then her tragic end. * I first met her back when she was known as “Carol” (because that is the name of the woman who found her wandering around in the fields of her property), when she came into the foster program with the greyhound adoption group. And she was a mess! She had been out in the wild so long that she had developed a horrific case of mange. She literally had no fur! Her whole body was bald. Only her face had some sketchy patches of hair left. No one even knew what color she was going to be when her fur came back in. Yet, when I looked at her face, I saw an incredible beauty. Nothing much was known about this naked dog except that she was a former racing greyhound (as evidenced by the NGA** tattoos in her ears). But, from the condition she was in, everyone believed she had been relegated to the world of underground racing after her career was over. (Some greyhounds are lucky and get put with adoption groups when their racing days are over. In these parts, others are not so fortunate and they end up in the seedy world of “rabbit runners”—the name for people who take greyhounds for illegal gambling purposes. They call them rabbit runners because these horrible criminals use live rabbits as bait for running. The dogs receive very little food—if any—and very little water, absolutely no veterinary attention, and they’re usually abused). For some reason, I just couldn’t stop thinking about this dog! I called Beth, the adoption coordinator, and inquired about her status. Yes, she was still there, she had been spayed, was fattening up and her fur was finally filling in. So I let Beth know that if it was okay, I would give that dog a home and she could come live with me and Maggie. The adoption was quickly finalized. I wasn’t crazy about the name Carol. I renamed her Bella because that Italian word for beautiful so suited her. Boy, was that ever a long settling-in process. Bella was a very frightened dog. So frightened that she was reluctant to even eat! I had to gently pull her up to her food every day and let her know that it was okay to indulge in that big bowl of kibble and mush in front of her. It was so obvious that she had suffered abuse at the hands of those who had once held her captive. When I’d reach down to pet her, she’d cower. Every time I’d move, she’d shrink down, with head bowed and tail tucked. I knew instantly that she had probably been hit or kicked…and probably both. Over the years, Bella blossomed into one of the most trusting and sweet dogs. It was a process in which we both flourished. Bella was actually teaching me to trust as well. You see, I got Bella. I understood her fear and apprehension. Through her, I saw my own fears and insecurities. She was afraid of being hurt by people. So was I. She was afraid of being abandoned. So was I. She was afraid to love. So was I.
Bella taught me many things. She taught me that even though I’ve been hurt in the past, not everyone in the world is out to hurt me. When someone extends kindness toward me, I take one step closer to trust. Bella grew to love and be loved. She grew to trust, and with that trust came security. Through her, I learned that when I trust and let people in, although a bit hesitant, I gain a sense of connectedness and security. Surprisingly, I feel safe. Bella taught me to have an open heart, knowing that even though the pain of the past never quite goes away, I can get past it to live a full and happy life. This beautiful fawn greyhound enriched my life beyond measure. Like Bella, I still find myself going to my quiet place sometimes. But, in the silence, when I curl up to go to sleep, I have nothing to worry about. I know I am loved. Although Bella was considered the rescued one, I have to argue that it was I who was rescued. 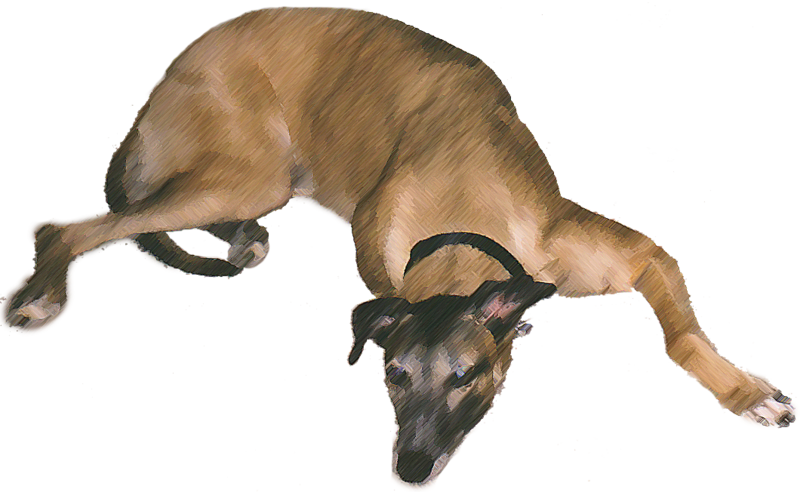 ** The National Greyhound Association (NGA) is the primary registry body for racing purebred dog Greyhound pedigrees in the United States. aww - dogs really do save us. 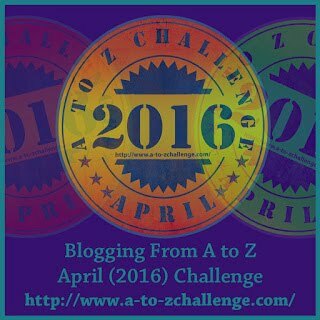 Im blogging from Fill the cracks and Moondustwriter's Blog. Happy last week of A to Zing! Thanks Leslie, for reading Bella's story. Thanks for the visit, Leslie! Bella's story really is a gorgeous one, and I'm glad you stopped by for it. What an inspiring story! She sounds like a wonderful dog and I'm glad she found a good home in the end. Thank you Guilie, so much, for featuring Bella and me here in your wonderful series. I'm so honored. I thank you for all you do for the dogs. Without people like you, these incredible beings may never know the security and peace that comes with a loving home. You have definitely earned your angel wings, Girl! Aw, Michele—thank you for sharing this beautiful, beautiful story! Bella found paradise with you, and I'm glad you both benefited so much from that (all too brief) relationship. Kudos to you for having the heart to take her in, and the love and patience to work with her, give her the space she needed to feel safe and come out of her shell. The world needs more people like you! What a lovely story Michele, thank you for sharing it with us. I truly believe that dogs (or cats) help people so much. The unconditional love that is given is returned in buckets full. Humans, dogs, animals sadly do get badly hurt and trust is hard to restore, but when it is, it overflows. Thanks Susan. You're so right: dogs, cats, horses and so many other animals help us humans so much just by their very nature: that of unconditional love and ever lasting loyalty. It's amazing how much people can change once they love an animal. I saw my own aunt become so soft after she adopted a dog. Her whole attitude changed and she became more loving overall. My favorite quote is one by Anatole France: "Until one has loved an animal, one's soul remains unawakened." So true! Thanks so much for reading our story Susan. And, I wanted to add what a gorgeous dog was Bella! 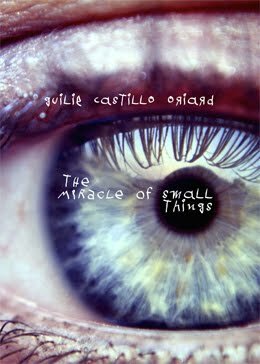 A beautiful story and what a story about being saved...both of you. You both taught each other to trust again and you gave her a beautiful life. Funny...my Wallace was so scared, similar to what you wrote about Bella, when we first got him. He's still phobic of the outside but so much better now. I never thought our Wallace could have suffered a similar early life. At least Wallace is with you now and he has a beautiful life. Bless you for that! As Michele said, the fact that Wallace has a safe place to be is a wonderful thing. Indeed, many dogs will never get over their fears; there's only so much we can do. The most important consideration when adopting a rescue is to be prepared to take them as they are, give them the space they need, and the help they'll take. Kudos to you both for dealing with your dogs' fears in a positive and respectful way! Michele, that is a beautifully written story, one that put me through the emotional wringer. I am horrified whenever I read about cruelty to animals. It makes me especially angry to know there are people in this world who abuse animals for sport and entertainment. Bless you for offering a forever home to precious Bella. I can see the gentle kindness in her eyes. Unfortunately "forever" only lasted a few years, but they were happy years, years that Bella surely would not have had if not for your generous heart. They were years filled with breakthroughs for you and for Bella. 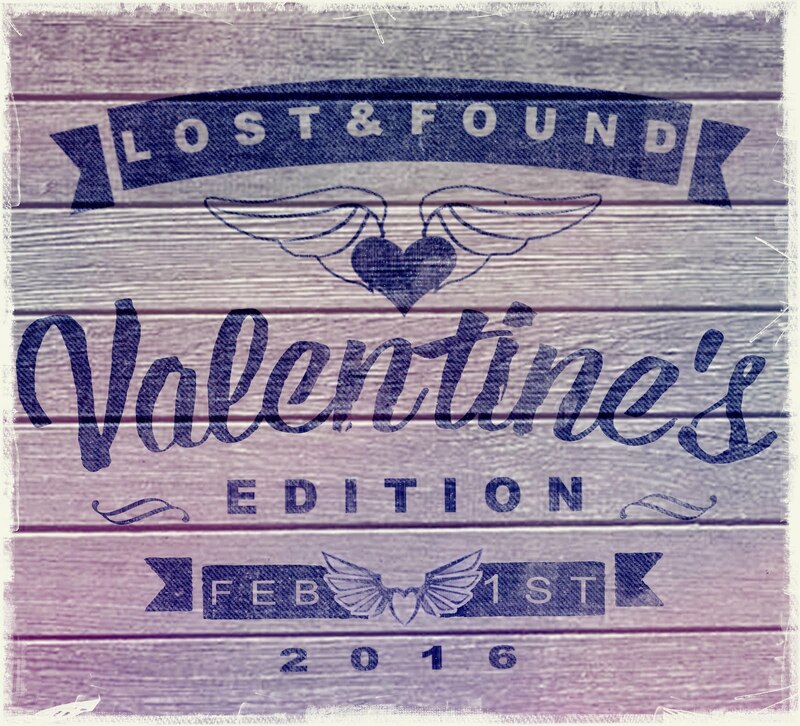 You were lucky to have found each other. You taught each other how to trust and to love unconditionally without fear. Imagine heaven as a place where dog lovers are happily reunited with the pets they have known and loved. I have faith that you will someday be with Bella again. Bless your good and caring heart, Michele! Thank you Shady. I am so against the "sports" of dog racing and horse racing. There is so much abuse in those circles. I don't want to condemn them all because there are certainly good breeders and good owners and good trainers who care for their horses and dogs, but definitely not all. It so angers me when I hear of them "doping" the dogs or horses: using cocaine and amphetamines to enhance their speed. They don't care about the health of the animal, only the money. That's not to mention all the injuries and deaths that occur simply as a result of running the racetrack. And the thousands of greyhounds that are "disposed of" (read: killed, often inhumanely) when they are no longer bringing in the dough. Thankfully, the world is catching on and dog tracks all around the country are closing! It's been a long hard fight but finally we are seeing a winning end in sight. If you want to learn more about the plight of greyhounds, simply google "greyhound abuse in racing" or "greyhound deaths in racing" and you'll see many reports and agencies that are helping to end the horrible "sport". Thanks so much for coming by and reading our story Shady. I so appreciate your comment. Too right, Shady. As Michele said, there's good and bad everywhere... but "all that is needed for evil to triumph is for good [people] to do nothing," right? Thanks for the visit! Lovely to see you here, Michele. I was horrified about the "rabbit runners". So many disgusting dregs of humanity in this world! You and Bella truly did rescue each other. Such a sad ending to a beautiful story. Thanks Debbie. I'm so happy to be here! RE: the rabbit runners: what a horrible world that is! 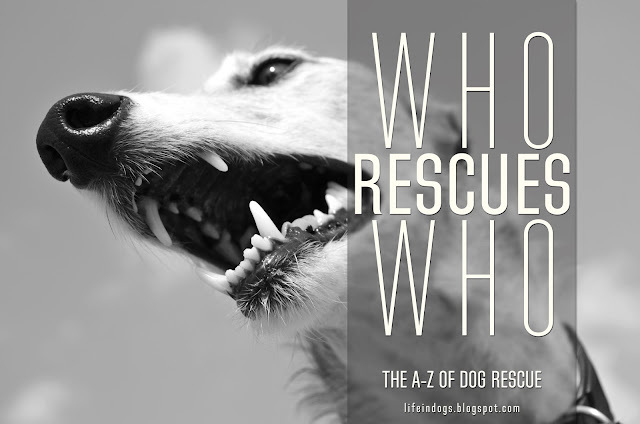 For sure, three of my greyhounds and maybe a few others, were rescued from that world. Several rings were busted and many dogs rescued, my Maggie one of them. She weighed only 38 lbs when they rescued her, and her ideal weight should've been 65 lbs. She was so weak she couldn't even stand and had to be carried to the van. I've read an actual police report that detailed one of the busts: the conditions that these poor dogs endured was tragic: empty water bowls, moldy and spoiled food, untreated injuries and the dogs walking around in feces up to their ankles. Horrid conditions! Yes, Bella and I sure did rescue each other. I'm forever grateful to that sweet angel! It was indeed a very sad ending and one that still haunts me. I can imagine the pain of such an unexpected loss. My sympathies! 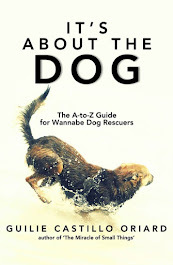 ♥ The world is a much better place for dogs, with wonderful rescuers like you and Guilie in it. Michele. That account of the rabbit runners' world really turned my stomach! I had the same reaction, Debbie, when I first read Michele's story. Rabbit runners? Wasn't that like in the Middle Ages??? Sadly—but rather unsurprisingly—not. I'm so glad there are people like Michele and her clients, devoted to giving good homes to Greyhounds... If they're rescues so much the better, but even if they're not, exposing the public to the majesty of these dogs helps create awareness for their plight. One day... one day. What a beautiful story - and it must have been a comfort to know that at least Bella spent her final years in a loving home. Thanks for reading my story and commenting. Much appreciated. Indeed, Susan; as Michele says, even if Bella left too soon, her last years were so good that they balance out the bad she had to go through. Such a beautiful dog, and such a sad story. I wished that she could have lived longer. Thank you for sharing your story with us. So true, Mary... Bella was a beautiful dog, and her story is so sad—but, without Michele, it would've been so much sadder. Thanks for reading it Mary! I appreciate that. Yes, I was devastated when she died. It was so unfair. And although most will say "It was her time", I felt that she was taken from me way way before her time. We could've had several more years together had I not taken her in for a dental that day or to that particular vet (not my current vet)... I still experience a lot of guilt over it. This was one of the most beautiful stories about rescue I've read. And Bella was a perfect name for that beauty you made part of your life. How lucky you both were. Wow, thank you so much! What a wonderful compliment. We were lucky to have each other ... for those few short years we had together (6 years). I agree, C. Lee. Bella's really is a gorgeous story. Thank you for sharing Bella's beautiful story. I only had my baby (Chihuahua) for 15 months so I know the feeling of not enough time and the unfairness of it all. (She died of cancer very quickly.) I'm glad you rescued each other. Oh that's so hard, I know. I'm so sorry. But just know that your baby had 15 wonderful months in a loving home. And your dog left you with a very grateful heart. I know how hard it is to lose them so quickly -- and some people don't realize just how fast one falls in love with a dog. It's fast! I adopted a greyhound whose race name was Biker Boy (but I renamed him Finnegan): at the time of the adoption, he was diagnosed with Lymphoma and given a prognosis of 3-4 months. The adoption group offered to take him back and give me another dog (one that I could have for years) but I said No Way! If this dog was going to leave this earth, he was going to leave as a member of my family, not some homeless foster. Finnegan surprised us all, and especially the vet: he had a fabulous 8 months of fun and play and so much love. The heartbreak was just as deep and just as painful after having him for only 8 months as it was with having lost a dog after ten years. I'm glad you had 15 months together. I would venture to say that those 15 months were the best months of her life! I hear you... Having a dog for such a brief time is hard. And yet, as Michele said, those 15 months were a gift, from you to her and from her to you. What a beautiful and sad story. I need a hankie. Again. Seems like this blog gets me all too often. Michele, I'm so sorry that your time with Bella was cut short. But, as Guilie said, I'm sure that your time together was the best of her life. That's a gift. A precious, precious gift. Thanks Robin. The gift was mine for sure. She so enriched my life and I think of her often. She comes to visit me in my dreams fairly frequently and I always wake up happy. I'm just grateful that I saw her happiness on that morning of her last day. She left me with the knowledge that she loved being where she was -- with us. Thanks so much for reading our story! What a touching, yet sad story. So happy you were able to rescue her. True, she may have died earlier than she should have, but you gave her much, you gave her a comfortable and safe place to live instead of lying somewhere in the street. Treasure the memories you have with her. Thanks Jeffrey. I do have some wonderful memories of her and they get me through when I start getting sad about the whole situation...I still feel so much guilt about taking her to a different vet than my normal vet for that dental. I can't help but think had I taken her to my regular vet, she would've been fine and we would've had so many more years together. Sigh. But you're right: I treasure the memories. Thanks for reading my story. I appreciate it. Well said, Jeffrey. Well said. Such a touching and beautiful story Michele. I feel sure, that she felt herself just as much resqued as you do. You gave her the best years in her life. Thanks for reading my story about my sweet Bella. Much appreciate your wonderful compliment and comment. Very true, Irene. Thanks for coming by! Bella's story is so heartbreaking. I'm sorry you lost her so young. She was beautiful and it's so lovely to learn that she rescued you too! To look into those eyes you see the soul - so precious! Thank you Yolanda! That's what I love about a dog's eyes: you can see deep into their souls and see all the love that is there. "... you see the soul"—so true, Yolanda. Thanks for coming by! This is a wonderful story - Bella sounds like she was a great dog (and the memories of her are still great). Thanks for coming over Sarah! I appreciate you reading our story. Bella was such a sweet dog whose personality was completely submissive and gentle. She was a kind-hearted dog and it was an amazing experience to watch her blossom. Thanks for the visit, Sarah! Oh! I'm so sorry you lost Bella so early, and in such an unexpected way. I'm glad her last years of life were happier ones, in such a loving home. I'm glad that we can rescue the feral kittens that we're gifted with, and I know that we're saving them from a life outside - cold, hot, and scrapping for a living. But at least they're not abused in their outdoors life. (Well, they have other dangers.) when I hear of the physical abuse such as Bella had, I just want to cry. Thank you for sharing your story with us. And yes, the ones that rescue gain just as much as the ones they save. Thanks Trisha. And thank you for what you do for the feral kittens. I know a lot of people who rescue feral cats and they just love what they do. So many neat personalities that grace their lives. Thanks so much for reading out story and commenting. It's hard to tell what's worse, isn't it? Feral cats have it "good" in some ways, as you point out—at least they're not abused... or not much, and if they are, they have good defense mechanisms to escape their abusers. On the other hand, people do assume that cats are "okay" being feral... That they don't need human protection. And, somehow, that seems even sadder in a way. I'm so glad you rescue them, Trisha. Hey Debbie, you're so right: no one can ever take away all the days and months and years that we did have together. There are tons of memories and although I get really sad when I think of Bella because of her tragic past and passing, but there are plenty of smiles and giggles too. She was a unique girl for sure. 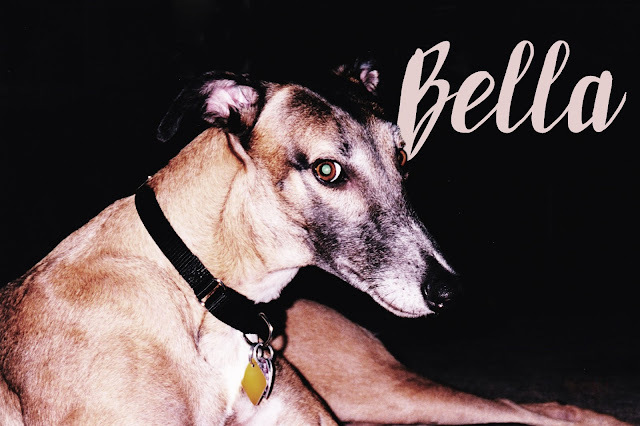 Yes, Debbie... Bella's story epitomizes the bittersweetness of rescue brilliantly. Thanks for coming by! You can see the joy in her face in the pictures of her running :) I am so glad that she found your loving home, even if your time with her was shorter than expected. Thank you so much Tracy! I love those pics of her running. You're so right: you can see the joy. She so loved to run! Oh geez, my eyes are watering up. What a great gift Bella was to you! Awesome post too! Thanks Shelly. She sure was an amazing gift! I'm so glad you liked it, Shelly... Yes, Bella's story is heartbreakingly beautiful :) Thanks for the visit! Poor Bella! I feel so sad when I think of what humans do to dogs. Brilliant post.